Things to decorate the boys room. Like sports themed items to monsters and gargoyles. 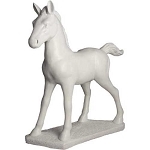 Here you'll find lamps, coat hooks and other functional items. Gift ideas for a boy as well. 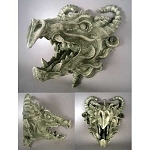 You can find more Gargoyle and Dragon statues here at or Gargoyle and Monsters page.